You can turn people into lions, clowns, monsters or cute kittens with button noses once you’ve unlocked the secrets to face painting in our most joyously vibrant course yet! 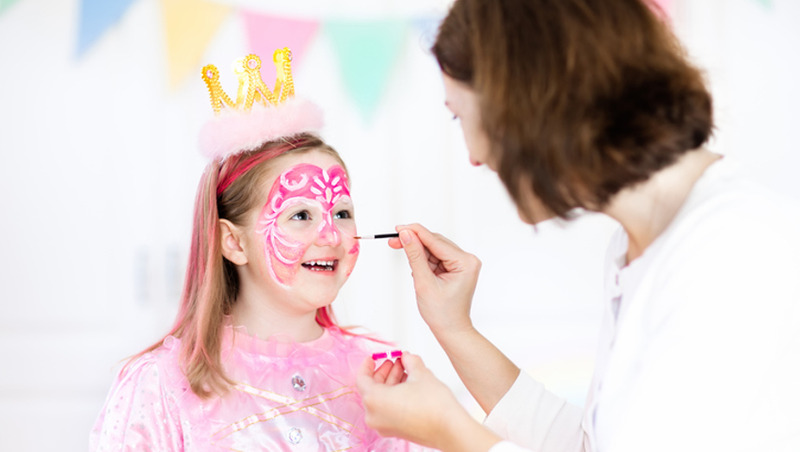 Working with color, art and fun, our experts will teach you the art of face painting. From working with children at festivals to otherworldly Halloween looks, face painting transforms people’s lives, even if it is just for one day. Join us on a journey through the types of face painting: children, adults, Halloween, and special effects. As you watch our videos transforming faces using only paint, you’ll learn the secrets only the experts know! Our face painting experts will take you from the very basics - the types of paint, glitter, brushes, and sponges you should use - to expert subjects like using horror prosthetics! and so much more great information. Face and body painting artists have a wide and fascinating variety of careers to choose from! 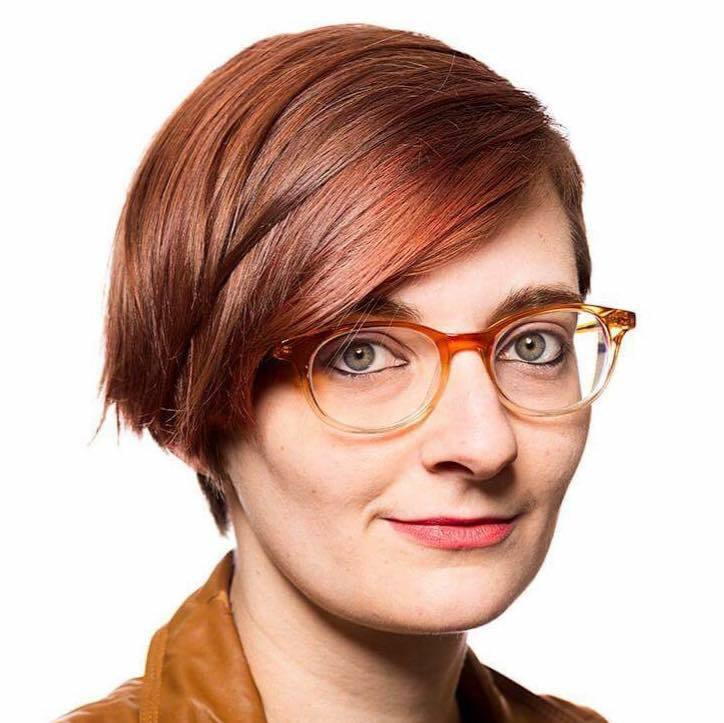 Tessa is a well-rounded nerd, writer, cosplayer, and artist. Her work has been featured in numerous galleries including Spoke Art Gallery, Gallery 1988, Bold Hype Gallery, and Hero Complex Gallery to name a few. One of her pieces even made it into art book Bad Dads: Art Inspired by the Films of Wes Anderson, part of the official Wes Anderson Collection. Heather Glass, The Ginger Artist, has been drawing ever since she could hold a crayon, continuing to expand and refine her craft, eventually becoming a talented self-taught Makeup Artist by 29. Her art is an extension of her eye, contorting larger than life concepts and placing them in front of expressive, untamed backdrops. The Ginger Artist draws inspiration from everywhere and churns it into a colorful punk rock celebration. Her work off canvas continues that theme. 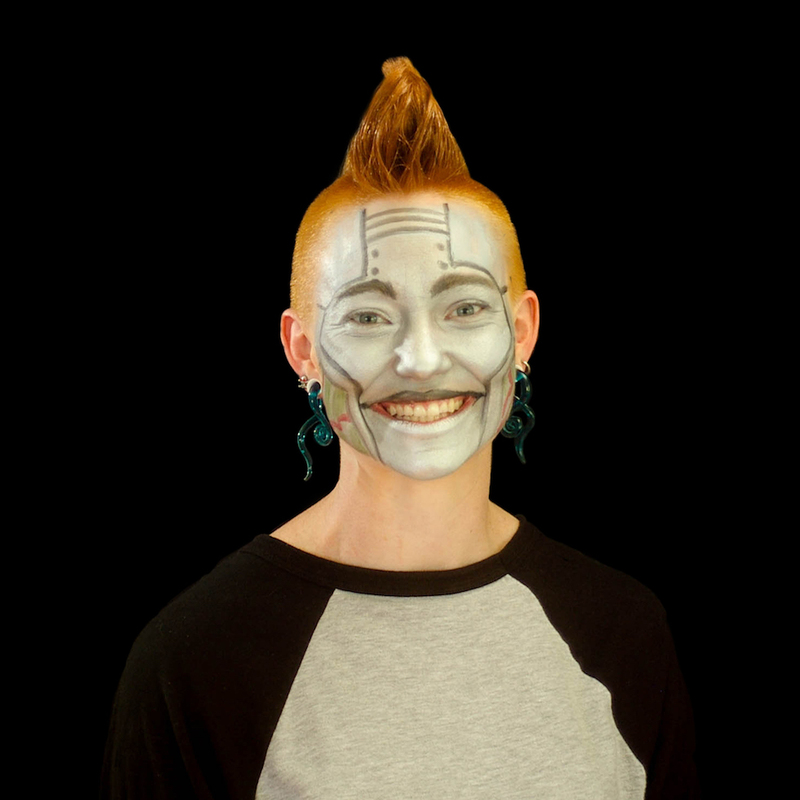 As a body painter this redhead rock star transforms flesh and face into playful masks and aggressive expressions of beauty, movement and emotion.